About: The full form of KMAT is Karnataka Management Aptitude Test popularly known as KMAT Karnataka. KMAT 2019 is a National Level Single-window Entrance Test for those interested in seeking admission into courses such as MCA, MBA, and PGDM in the State of Karnataka. KMAT Karnataka allows candidates to get admission into over 165 Management colleges in Karnataka. Grandiosity: Karnataka Management Aptitude Test (KMAT) is a standardized test being administered since 2003 by Karnataka Private Post Graduate Colleges Association (KPPGCA) to facilitate Post Graduate Institutions to screen candidates for admission to MBA, PGDM and MCA courses. Any Post Graduate Institution within the state can consider KMAT Score as an admission input based on the Score Cards issued to the candidates. Repute: KMAT Karnataka 2019 is the gateway to more than 165 AICTE-approved or University-affiliated B-schools in Bangalore and other parts of Karnataka. Level: KMAT Karnataka 2019 is a National Level Entrance Test. Candidate can apply from all over India as we as abroad. but the KMAT 2019 scorecard will allow candidates to take admission in Karnataka state. Exam Centres: KMAT Karnataka is a national level entrance test that will be held in more than 10 cities all across the country and is open to candidates from all parts of India and Abroad. Registration Date: Application Form will be available on the official website KMAT Karnataka i.e. www.kmatindia.com from 1st June 2019 and the last date to submit the Application Form is on 6th July 2019. Admit Card: The Admit Card will be available online for candidates from 8th July 2019. Candidate can download KMAT 2019 Admit Card from the official website of KPPGCA. Examination: KMAT Karnataka 2019 will be conducted across 20 (10 in Karnataka & 10 outside Karnataka) Cities in India through Offline i.e. Pen & Paper-based Test (PBT) on 21st July 2019. Results: KMAT 2019 Result will be declared on the official website for all the candidates on 31st July 2019. Counselling: Candidates who have cleared the KMAT Karnataka will be for the counselling process which will be held on 1st January 1970. Get more information about important dates in the KMAT Karnataka 2019 Important Dates section. For PGDM/ MBA: Candidates must have Bachelor's Degree with minimum 3 years duration/ Master's Degree from any recognized institute in Commerce, Management, Arts, Social Sciences, Engineering/ Technology or equivalent, and have secured at least 50% of marks in the aggregate (45% for SC/ ST category candidate). Get more information about Eligibility Criteria please check KMAT Karnataka 2019 section. Register: Application Form will be available on the official website i.e. www.kmatindia.com/ from 1st June 2019 and the last date to submit the Application Form is on 6th July 2019. Application Process: Candidates have to fill their personal, academic, contact and such details to register for KMAT Karnataka. Payment: The KMAT Karnataka 2019 candidates have to pay the registration fee of INR 800/- through online (Net Banking/ Credit Card/ Debit Card/ Wallets & other online payment) or offline (Demand Draft) mode. Note: Candidates are required to fill the application form on time in order to avoid any penalty charges. Know more about application form in KMAT Karnataka 2019 Application Form section. Exam Centre: KMAT Karnataka is conducted in various exam centres of Karnataka and other cities across India. Registration: While filling the application form candidates has to choose there preferred exam centre as per there feasibility. Changes: Candidates must make sure that the exam centre once chose can't be changed at any circumstance. To get more information about exam centres please check KMAT Karnataka 2019 Exam Centre section. Topics: The syllabus of KMAT Karnataka 2019 will be based on topics like Analytical Reasoning, Reading Comprehension and Logical & Abstract Reasoning. Difficult Level: KMAT Karnataka is proposed to be conducted with a moderate level of difficulty without creating confusion in paper-pencil mode. Reference: The candidates appearing KMAT Karnataka 2019 can refer to the prescribed books by conducting authority in order to score well in the Examination. Get more information about KMAT Karnataka 2019 Syllabus. Mode: KMAT Karnataka 2019 will be conducted through Offline i.e. Pen & Paper-based Test (PBT). Question Type: All the question will be of Objective Type Multiple-Choice Questions (MCQ's). Questions & Duration: There will be a total of 120 questions in which 2 hours i.e. 120 minutes will be given to complete the examination. Sections: The question paper contains three sections: Verbal Ability & Reading Comprehension, Quantitative Ability, and Logical & Abstract Reasoning. Marking Scheme: 1 mark will be given for correct answers and there is no negative marking for wrong answer. Get more information about KMAT Karnataka 2019 Exam Pattern. Availability: The candidates who completed the KMAT Karnataka 2019 registration successfully can download the admit card from 8th July 2019 from the official web site of KMAT. Credentials: The candidates should have to enter the KMAT Karnataka 2019 Application Number, Date of Birth, and Email ID to download the KMAT 2019 admit card. Affix Photograph: Candidates have to paste passport size photograph as uploaded during registration in the space provided in the admit card. Get more information about admit card check the KMAT Karnataka 2019 Admit Card section. Result Date: Result will be declared on the official website for all the candidates on 31st July 2019. Credentials: The candidates should have to enter their Login ID and Password to check the results for KMAT Karnataka 2019. Answer Keys: KMAT Karnataka 2019 Answer Key will be available for various sets such as Set A, Set B, Set C, and Set D. Candidates can download the answer key to assess their performance by visiting the official website. KPPGCA finalise 4 set of paper for KMAT exam to avoid malpractice. Cut-off: Cut off for KMAT Karnataka 2019 will be issued by Karnataka Private Post Graduate Colleges Association (KPPGCA). To be considered for the selection process, you have to score minimum cut off marks. Counselling: Candidates who have cleared the KMAT Karnataka will be eligible for the counselling process held on 1st January 1970. Counselling Process: After the declaration of the KMAT Karnataka 2019 result, the candidates have to apply separately for the participating colleges. Instead of counselling, a selection procedure is conducted, divided into two parts – KMAT followed by the procedure Group Discussion and Personal Interview opted by the institute. Not all B-schools will conduct GD/PI rounds, some might ask candidates to take written ability or essay writing test. Also, some colleges may look into a candidate’s academic records along with past work experience for the final selection process. please feel free to check KMAT Karnataka 2019 Counselling section to get more information about counselling. Application Start Date: The application for KMAT Karnataka 2019 starts from 1st June 2019. The candidates can apply for the KMAT Karnataka 2019 accordingly. Last Date of Application: Candidates should remember to register before 6th July 2019 for KMAT Karnataka 2019 Exam. Admit Card: The candidates can download KMAT Karnataka 2019 Exam admit card which will be available on the 8th July 2019. Exam: KMAT Karnataka 2019 Exam will be held on 21st July 2019. Result: The candidates can check the KMAT Karnataka 2019 Results which will be out on 31st July 2019. Counselling: The counselling process for KMAT Karnataka 2019 will be held from 1st January 1970. Qualification: The eligibility criteria for the candidate applying for KMAT Karnataka 2019 is to have completed a three-year graduate degree post completion of 10+2, in any stream. Minimum aggregate: The minimum eligibility marks required at graduation level is 50 percent in every subject. Specific Subject: Candidates must have chosen Mathematics as their main subject in either in their graduation or 10+2 to be eligible. Reservation Quota: Candidates who belong to SC/ ST/ OBC/ PwD categories, eligibility criteria is a minimum of 40% in every subject. The application form for KMAT Karnataka 2019 will be available on the website, candidate who has fulfilled the eligibility criteria can get the application form from 1st June 2019. Candidates have to log in to the website, you will receive an ID and Password using which the candidates have to fill the application form for KMAT Karnataka 2019 Exam. Candidates have to fill in Personal Details, Education Qualification, and Contact Details. Candidates can either select Online or Offline mode of payment for KMAT Karnataka 2019 exam. Now candidates should pick a venue for KMAT Karnataka 2019 exam and select the course you want to apply for. Candidates can now pay the application fees and submit the documents for the KMAT Karnataka 2019 Exam. Candidates can register for KMAT Karnataka 2019 on the official website for KMAT Karnataka Exam 2019 from 1st June 2019. Interested candidates are supposed to register their names by applying in the prescribed application form online by 6th July 2019. Exam centres for KMAT Karnataka 2019 will be allocated by the third week of May 2019. Candidates can download admit card from 8th July 2019 and the exam for KMAT 2019 will be held on 21st July 2019. Results will be announced on 31st July 2019. The admit card for KMAT 2019 will be available on the official website for all registered candidates who have made the application fee payment within the set deadline. Admit Card is a provisional document used as a verification card during all the stages of KMAT Karnataka 2019. The admit card is available from 8th July 2019, until the date of the main entrance examination. The admit card will only be available online. The offline issue of the admit card will not be available. It contains information about the candidate and KMAT Karnataka 2019 exam. The admit card has the enrollment number, exam center, exam course, date, and timing. KMAT 2019 exam is an Offline Objective Type which has a total of 120 questions which students are required to answer in two hours. Quantitative Ability - There will be 40 Questions carrying 160 Marks. Verbal Ability, Reading, and Comprehension - There will be 40 Questions carrying 160 Marks. General Awareness - There will be 20 Questions carrying 80 Marks. Logical Reasoning - There will be 20 Questions carrying 80 Marks. Verbal Ability, Reading, and Comprehension - There will be 40 Questions carrying160 Marks. Results for KMAT will be announced on 31st July 2019. The merit list or result of KMAT Karnataka 2019 will be available on the website of Karnataka Private Post Graduate College’s Association, under the Results tab. The notification for result day too will be available on the website. For accessing the result, candidates will have to use their login ID and password that had been generated at the time of registration. Post-verification can be done through your Date of Birth and admit card number, the result will be shown on the screen. A printout of the result can always be taken for further reference. The result card has to be taken for counselling. It is a mandatory document along with the admit card. 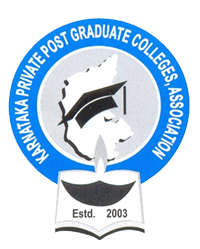 Overall 169 Colleges are affiliated to the Karnataka Private Post Graduate College’s Association. Once the results of the written test of KMAT Karnataka 2019 is announced and each institute under the Karnataka Private Post Graduate College’s Association has set a cut-off for qualification to their courses, the counselling process will be announced. A cut- off is set by each college under KPPGC after the announcement of the results. There is a Group Discussion which is followed by the results. After clearing this GD, there is also a Personal Interview with the qualified candidates at the institute campuses. However, some institutions might choose to have both or either of the two as part of their selection process for candidates. The KMAT Karnataka 2019 Admit Card. KMAT Karnataka 2019 application form fee payment copy. So the Admission procedure in Ms Ramaiah starts from filling up the admission form which requires all the important details of students like marks secured details of entrance exam, etc and then the next step in an aptitude test which conducted by college and qualifying the test leads to the next step which is personal interview for the test and the interview students don't need to come down to the campus students from other states like me can complete the process online via Skype. And the entrance exams accepted by Ramaiah are CAT, MAT, CMAT, KMAT. And the minimum students should have 60 % in under graduation. MCA(Master of Computer Applications)As The name suggests the Professional Course for IT Students. The Current Technologies based on software and hardware products that improve students to Introduce for IT industry. and The Leading Master course compares to others. 1) The eligibility criteria were the completion of any UG courses. For example B.Com, BBM, BCA, B.Sc, and Engineering etc. The admission is either through Management quota or PGCET counseling (Government seat). 2) The entrance exam taken by me was PGCET. KMAT exam can also be taken up for the entrance. 3)The cut off for PGCET was around 500 ranking and again it depends on different categories like GM, 1A, 2A, 3A, SC & ST etc. The eligibility criteria are either of B.Com, BBA or Engineering as bachelor degree to do an MBA as it is a masters degree. You can either take up any of the competitive exams such as PGCET, KMAT. Depending on the cut-offs set by the college you can get into the college else management seats suggested but making it through competitive exams would cost you less. Students who have done 10+2 with any stream and has done BBA can apply for this course. The entrance exams are PGCET and CAT KMAT etc. The student must be passed graduation and the entrance exam is KMAT. If you need to get into the MBA you need to have a rank of 1200 and less in the PGCET entrance exam. You can give PGCET or KMAT to get into the course. The cut off is 1200 rank and below. What is the syllabus for KMAT Karnataka for quantitative techniques? What is the date of release of application form of KMAT Karnataka? KMAT Karnataka 2018 application form will release on 23rd May 2018. Does Saintgits Institute of Management accept KMAT score? KMAT score is accepted by Saintgits Institute of Management, Kerala. Click here to know about the colleges that accept KMAT score. What all colleges accept KMAT 2018 score? Hi, I am Chandan How can I confirm that my KMAT registration form is duly submitted? For confirming you will receive a confirmation of Candidate summary sheet along with the Payment Details. Hi, I am Pranab. Can I opt for more than one test city for KMAT Exam? You cannot opt for more than one test city for KMAT Exam. For more information, click here. What are the benefits of KMAT 2017? KMAT is a Gateway to MBA in Karnataka. Bangalore, Silicon Valley of India is the No. 1 destination for MBA/PGDM. There is a vibrant job market. Who is the competent authority for the KMAT exam? The competent authority for the KMAT exam is the Karnataka Private Post Graduate College Association. Karnataka Management Admission Test (KMAT) is a common entrance test conducted by the Karnataka Private Postgraduate Colleges Association (KPPGCA) for admission to MBA, MCA and PGDM courses in AICTE approved university affiliated self financing colleges in Karnataka. The body was established in 2003 with the aim of arranging active aid for students looking to seek professional and quality post-graduate education. The questions asked in KMAT are designed to check candidates quantitative and logical reasoning skills along with their verbal and general ability skills. KMAT exam provides students access to over 169 colleges in Karnataka.